Fisher F75 Metal Detector is the latest and greatest of its brand. It includes new technology that has made the series more versatile in a manor of gaining greater depth, target separation and audio features that have created a new passage way for sites that are filled with iron. This device costs around $549 to $699 online. 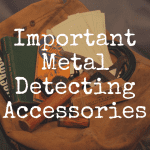 Being a top-end metal detector in the Fisher family, these device best searchers for coins, relics and gold nuggets with extreme ease. In this Fisher F75 review, we’re going to help you determine if this robust metal detector is worth your hard eared money. And to do that, please utilize the interactive guide below, which allows you to see how well the F75 compares to other detectors on the market. Who is the Fisher F75 Aimed At? This device was built for beginner consumers interested in coin shooting, but could ultimately be used for anything such as gold and jewelry. This device does everything that it says it’s going to do as far as being very easy to operate, very effective and accurate discrimination. Especially in areas where iron is just infesting all of the land, this device has extremely accurate discrimination. The consumer will be happy to sift through rubbish and find those desired objects. Another feature that really is a wow-factor for this device is the DST Mode. DST stands fro Digital Shielding Technology and it can be turned on or turned off on the device. This is a mode that helps reduce Electromagnetic Interface. Electromagnetic Interface are those unwanted signals from other places being picked up. Many really like the FASTGRAB mode that allows the consumer to switch from Manual Ground Balance to Instant very quickly. This is a feature that is valued when out and about. It’s so fast and convenient. Another great feature of the Fisher 75 is that it can reach great new depths with the 11-inch DD coil, which is about 12” deep with good ground conditions. Even though this device has a manual ground balance, it is not a great “beach tool”. Another added reason to not take this detector to the beach would be that it is only waterproof up until the control box. It may be good for a small creek or on the surface level of a known body of water – but be careful! Another disadvantage to this device would be that it has a single frequency. Many companies are leaning toward creating devices that have multiple frequencies in efforts to expand functionality. There is not really much to compare for these two units as they’re completely different. The Fisher F75 ($700-$1,000) is just better; but it’s also more expensive. The Fisher F22 ($200) is the second model that was released for the F Series. The Fisher F22 focuses on hunting in rough conditions and is weatherproof. 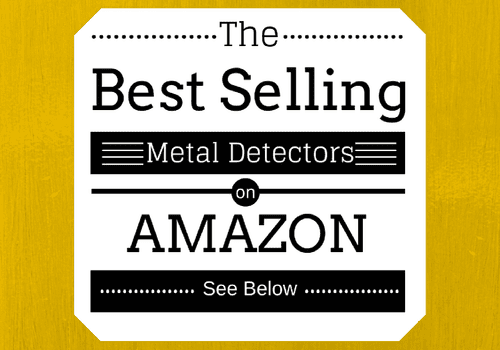 It’s recognized as being one of the most cost efficient detectors available for beginners. The Fisher F75 is the latest and greatest of the Fisher F Series. 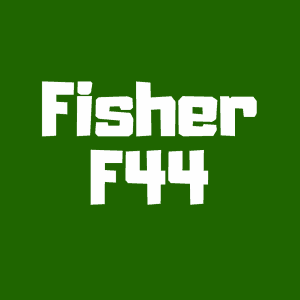 The Fisher F75 is for a more advanced hunter and the Fisher F22 is for a beginner. The Fisher 22 can be found for a low price of $210 dollar and is used for detecting coins, jewelry and artifacts. This is a great entry level device that has key features such as having 10 adjustable sensitivity levels, detects 10” deep, is weather resistance and has a PinPoint Mode. This device is a step (or two) on the advancement level compared to the F75. The F75 uses new technology to detect more efficient as it has modes for notch and discrimination. The F75 also has a better coil, the 11” elliptical bi-axial search coil. The F75 may be a little bit longer and heavier, by a bit. The Fisher F75 is going to be a better option if the consumer is looking to get a little bit more bangs for their buck. The experience level of the consumer would need to be determined before making a decision between these two models. The Fisher F22 is actually a great device for a beginner looking to get into metal detecting as more of a serious hobby. The consumer would want to choose an F75 if they were a bit more experienced and looking to really invest in the hobby. However, if someone is wanting to spend the money on the device, it’s also recommended. It’s an easy to use device. 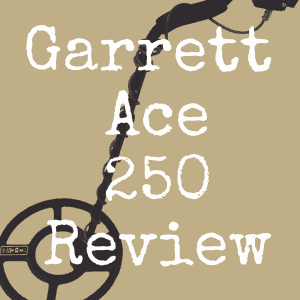 To compare the Garrett At Pro and Fisher F75 it is important to know that these devices go for around the same price: $550 – $700. The Garret At Pro allows the searcher to detect at extreme depths and perform at a high quality in all terrains. The Fisher F75 uses advanced features and technology to detect deep (and is a multi-use detector as well). The F75 actually has the operating mode of All Metal and Discriminate whereas the Garrett AT Pro does not. The Garrett AT Pro has a higher operating frequency of 15 hKz whereas the F75 has a 13 khz frequency. The Garrett AT Pro has a Graphic Target Identification system for visual identification whereas the F75 has an LCD screen. The warranty is better with the F75 (5 years) whereas the Garrett AT Pro has a 2 year warranty. The F75 has a threshold setting and a mode to gain proper static. The Garrett AT Pro is a waterproof device and the F75 is not – only the waterproof at the coil. The F75 has a manual or auto ground balance the AT Pro only has the Manual Ground Balance. It seems as though the Fisher F75 is just as good and as practical as the Garret AT Pro. However, it is not available to search under water. When talking about the two models in relation to discrimination accuracy, the Fisher F75 really is superior and the process signals are a quite a bit faster. Both detectors have a 9” elliptical coil which is the best coils that manufacturers can make in the industry. The two have unique and shapes, of course. From a comfort standpoint, the F75 does have a better arm rest for ease and longevity. Over all, the consumer should consider how they plan on using their device and their physical preference. If they would like to search in a ‘beachy’ atmosphere – the Garrett AT Pro is the detector for them! If they’re looking for mainly terrain hunting it would be recommended to choose the Fisher F75. The Fisher F75 series expands beyond the F75 including the Fisher F75 Plus and the F75 Special Limited Edition. 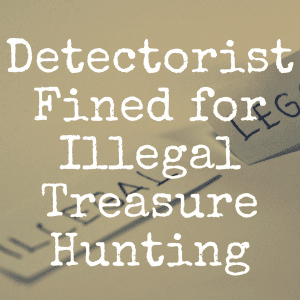 All of these devices are excellent choices for the advanced treasure hunter seeking a device that is high-performing and multi-purpose. Each of the models are reliable when delivering exceptional depth performance and can find things like silver, gold and relics with ease. These models out way all of the other Fisher series. The F75 Plus model is great for those who are new to the hobby. This model is unique in a sense that it is geared toward those beginner hobbyist. It has a special bundle that will save the new hobbyist loads of money because of these accessories included with the device. This device also has a Fisher F-Pulse Pinpointer included which is completely submergible in water up to 6 feet in salt water or fresh water. The digger also includes a “Digger” that is 12” long and can be used as a carbon steel digging tool. It helps cut through those tough spots. This model is also different because it comes with a depth boosting feature that enhances the sensitivity when searching in challenging spots. 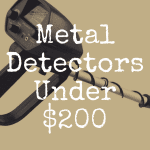 The Fisher F75 is the most affordable and has loads of features of all of the units and that’s what makes it unique to the Fisher Family of metal detectors. The search coil is also different from the other two in a sense that it is 11” DD Bi-axial. The F75 and F75 are both great models and extremely easy to use for beginners or advanced treasure hunters. The device comes with an instruction manual, but you may not even need it. There are several youtube videos out there that help with tips and tricks. It’s obvious that the Special Limited Edition is going to be the best of all of these series by looking at the price tag. 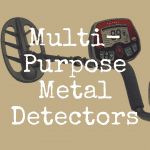 This metal detector really sets itself apart from the other two in general because of the sleek new design. It has a very polished look to it and a black finish. The device also has an incredible Depth Boost Feature which helps finding those targets. The device includes a Special Cache Process Mode that enhances the speed to a more of a slow speed mode. This helps with locating those larger and deeper objects while keeping coil where it is wanted. If you are serious about treasure hunting and being a hobbyist at an advanced level the Fisher F75 Limited Edition would be the right machine for you. It’s a great device with a lot of perks. However, the other two devices are phenomenal and are well liked amongst many people. Overall, this device is highly recommended for beginner users who are looking for a high-performing and affordable device. Though it is recommended for beginners, it is enjoyed greatly by professional hobbyist on a budget as well. This device is known for its impeccable discrimination through iron infested areas and how affordable it is. This device is in the top rankings for its price and because of all of the adjustable features including the depth seeking, target separation and accuracy.